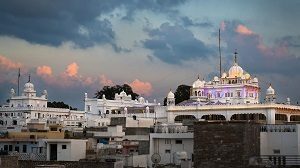 The most important of the complex of shrines at Anandpur Sahib is Gurudwara Keshgarh Sahib, which stands on the place where the “Khalsa” was born. It is regarded as one of the five sacred “Takhats” or seats of Sikh religion. It is on the main Rupnagar-Nangal road and one has to walk up a cobbled path to reach the shrine, built on the hillock. Climbing up some steps, Darshani Deorhi has to be crossed first Then comes the large open marbled quadrangle at the end of which steps lead up to the central shrine. In the centre of the hall is a room displaying twelve weapons used by Guru Gobind Singh in battle. There is an imposing dome on the hall with a golden kalas on the top. A big serai of about 200 rooms is also attached. Sahib Chand, a barber from Bidar and Himmat Rai, a water carrier from Jagan Nath Puri. From the tent in which these five followers had been taken, Guru Gobind Singh brought out the five Sikhs dressed in new clothes, blue turbaned with loose long yellow shirts, a waist band round their waists, with sorts of Knicker-bockers worn as underwears and with swords dangling by their sides. It was an inspiring sight. The Guru told the congregation that these were his Five Beloved Sikhs (Panj Payaras), and he baptized them by offering them Amrit (the nectar of immortality) he had prepared by dissolving Sugar Bubbles (Patasa) in water sanctifying the sweetened water by stirring it with double edged sword (khanda) and reciting the holy verses. The Guru himself took the Amrit from the Panj Payaras, thus removing the distinction between himself and followers. On that day, Guru Gobind Rai became Guru Gobind Singh. The Panj Payaras were enjoined to embrace the five symbols of the new Sikh faith, Kes (unshorn hair), Kangha (comb), Kara (steel bracelet), Kachha (short drawer) and Kirpan (sword). The ceremony gave followers of Guru, a new identity which was to prepare the Sikhs for their struggle against the Mughal State and influence the future of the country. Gurudwara Parivar Vichhora Sahib is situated adjacent to the canal near village Nangal Sirsa, at a distance of about 14 Km from Rupnagar. It has a lofty flight of 84 steps leading upto the top. Guru Gobind Singh along with his family and followers came to this place leaving the Fort of Anandpur Sahib, He had not yet reached the bank of the Sirsa River, 15 Km to the east when he was attacked by a strong contingent under Wazir Khan, the Governer of Sirhind. When the Guru was heavily engaged, another detachment of the Mughals delivered an assault on the first batch halting on the river bank. A fierce battle took place here in which most of Guru’s followers lost their lives. It is the place where Guru was separated from his family and then proceeded towards Kotla Nihang along with his two elder sons and 40 followers. The Guru’s mother and his two younger sons were taken by Gangu, an old domestic servant of the family to his native village, Saheri near Morinda. Mata Sunderi and Mata Sahib Devi, the wives of the Guru were taken to Delhi in the guise of rustic women. 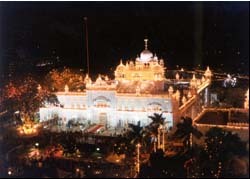 A gurudwara called Parivar Vichhora Sahib marks the site where the family of the Guru was separated. The construction of the gurudwara was started in 1963 and completed in 1975. A big fair lasting for three days is held here annually in the month of December. the fire miraculously went out. The Pathans hearing of this miracle invited the Guru to their house. The Guru gave them certain gifts (weapons) and left for Chamkaur Sahib the next day unknown to his pursuers. The Gurudwara was built at the site of the kiln by Baba Jiwan Singh in 1914. A silver sword, a kitar and a dhal gifted by the Guru to the Pathans are preserved in the Gurudwara. A fair is held here on 11 Bhadon (August) on the death anniversary of Baba Jiwan Singh. Besides, afair is held here on 2-4 Poh (December) when large number of people visit the place. Popularly known as Shiv Mandir, the ancient temple of Jateshwar Mahadev is situated in the village Jatwahr which is about 6 kms from village Bains on the Rupnagar-Nurpur Bedi road.The antiquity of the temple according to local tradition goes back to the remote past. But the present building does not seem to be more than 100 years old. It was built by one Jai Dayal Sharma, a resident of the village Takhatgarh. There is clear evidence of an earlier temple at the site, in the remains four carved pillars of sandstone can be attributed to about 10th-11th century. There is also a mound near the temple which seems to belong to the medieval period. The temple is held in great reverence and is visited by devotees from various parts of Punjab and also from the adjoining states of Haryana and Himachal Pradesh. During the month of Sawan (July-August), people visit the temple in large number every Monday. Besides a fair is held every year on Shivratri in the month of Februray. Bhakra Dam which is situated at about 10 kms from Nangal, is one of the highest straight gravity concrete dams in the world. The construction of the dam started in November, 1955.In its rear is formed a beautiful lake ‘Gobind Sagar’ named after Guru Gobind Singh. It is 96 km in length with a gross storage capacity of 7.8 million acre feet of water. On the downstream, the dam, is flanked by two power houses, one on either side of the river satluj, each fitted with 5 generators, capable of producing a total of 1050 MW of electricity. Cafeteria has been provided at the top of the dam and also about 1 km upstream of the dam. Water sports in Gobind Sagar have been added to make it a good tourist resort. A motorable road to link Bhakra with Shimla and Kulu valley via Naina Devi temple and Bilaspur has been constructed and this has opened the interior of Himachal Pradesh to tourism. 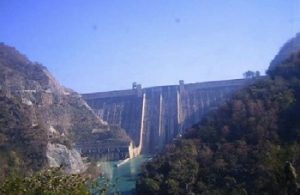 There is a subsidiary dam known as Nangal Dam which is 1000 feet long and 95 feet high and is meant for diverting water into the Nangal Hydel Channel. In this way, the Nangal Dam holds up the water of Satluj River coming from Bhakra Dam and forms an artificial lake of 6 km length. The Nangal Hydel Channel including Nangal Dam were constructed prior to 1954. 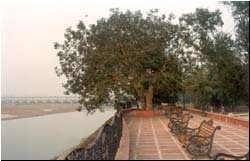 A Historic meeting between Maharaja Ranjit Singh and Lord Willam Bentinck, the Governor General of India took place at Ropar on the Bank of Satluj under a PIPAL TREE on 26th October, 1831. Ostnsibly, the Governer General met the Maharaja to show to the world that he and the Maharaja were friendly. Various boundary issues were settled between Maharaja Ranjit Singh and the British. 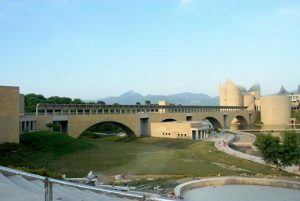 Virasat-e-Khalsa (formerly known as Khalsa Heritage Memorial Complex) is a museum located at Anandpur Sahib. The museum gives an insight to the events that took place in Punjab five hundred years ago which gave birth to Sikhism and finally the Khalsa Panth. The museum throws light on the vision of the great Gurus, the eternal message of peace and brotherhood which they delivered to the whole mankind and the rich culture and heritage of Punjab. 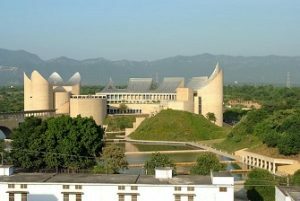 Virasat-e-Khalsa is conceived as a repository of the rich heritage of the Khalsa its history and culture of the Punjab so as to inspire visitors with the vision of the Gurus, emphasizing the eternal message of the great gurus for the whole mankind. The museum is intended to commemorate 500 years of Sikh history and the 300th anniversary of the Khalsa, the scriptures written by the 10th and last Guru Sh. Guru Gobind Singh Ji founder of modern Sikhism. in the Punjab region of Northern India, Guru Nanak Dev Ji founded a faith rooted in the core values of universalism, liberalism, and humanism. The nine Gurus who followed Him built upon and consolidated His teachings, thereby establishing Sikhism not only as a belief system but also as a way of life. Two hundred years later, in 1699, on the occasion of Baisakhi, the Tenth Guru, Guru Gobind Singh Ji formally founded the Khalsa Panth at Anandpur Sahib, establishing a social order committed to peace, equality and justice for all. Today, on the same site, stands the majestic Gurdwara Takht Sri Kesgarh Sahib. The year 1999 marked the Tercentenary of the Birth of the Khalsa. 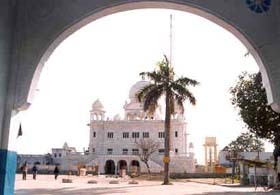 To commemorate this event, the Government of Punjab laid forth the outlines of a magnificient edifice to be known as Virasat – e – Khalsa at Sri Anandpur Sahib.The Heritage Complex is inspired by the rich natural and architectural heritage of Sri Anandpur Sahib, while also drawing heavily from Sikh and regional architecture. Contrary to the tradition of domes which crown the sacred Sikh sites, the roofs of the Museum are concave-shaped receptors facing the sky. Sheathed in stainless steel, they reflect the sun’s light towards the Gurdwara and the Fort. • The smaller, western complex includes an entrance piazza, an auditorium with 400 seating-capacity, two-story research and reference library and changing exhibition galleries. 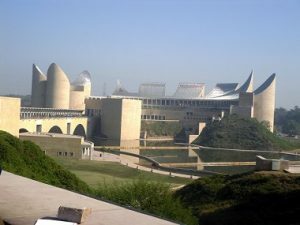 • The eastern complex contains a round memorial building as well as extensive, permanent exhibition space, consisting of two clusters of galleries that try to evoke the fortress architecture of the region (most evident in a nearby Gurudwara) and form a dramatic silhouette against the surrounding cliff terrain. The gathering of the galleries in groups of five reflects the Five Virtues, a central tenet of Sikhism. The buildings are constructed of poured-in-place concrete; some beams and columns remain exposed, though a great deal of the structures will be clad in a local honey-colored stone. The rooftops are stainless steel-clad and exhibit a double curvature: they gather and reflect the sky while a series of dams in the ravine create pools that reflect the entire complex at night. The building was designed by world acclaimed architect Mr. Moshe Saifde.